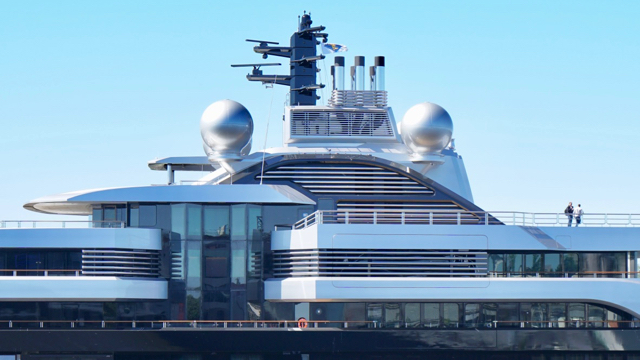 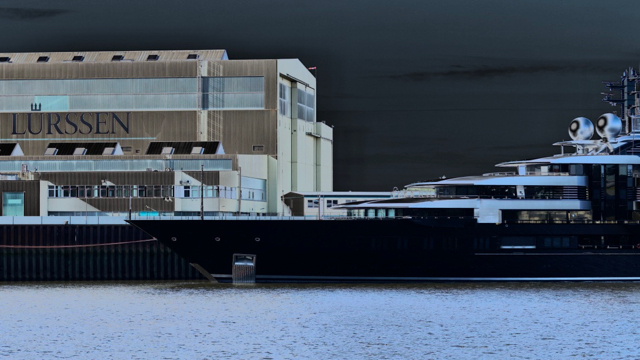 Yacht CRESCENT - Project THUNDER - drduus Webseite! 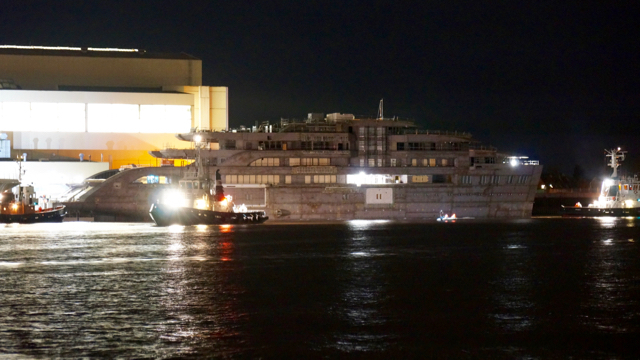 From Oct. 2017 until 29. 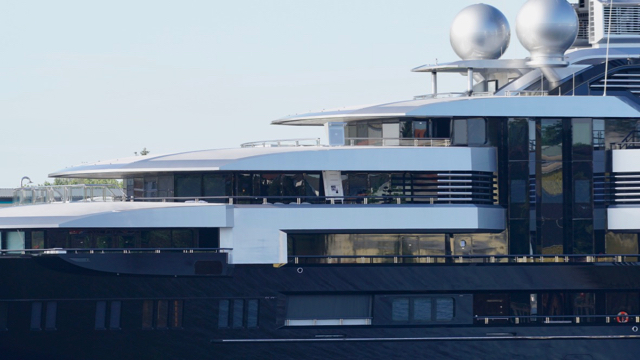 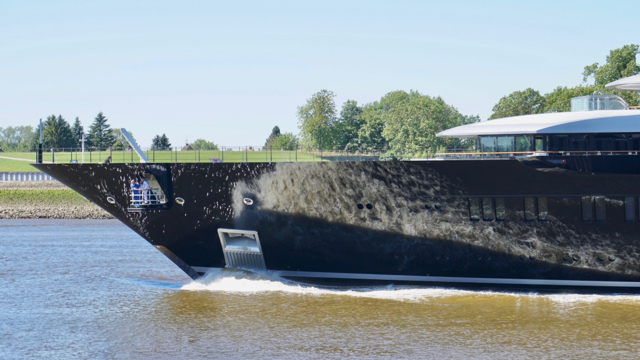 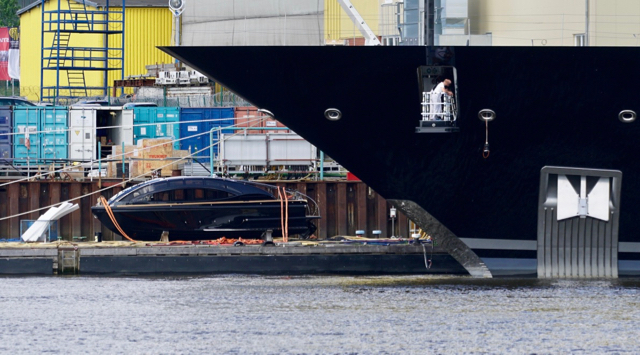 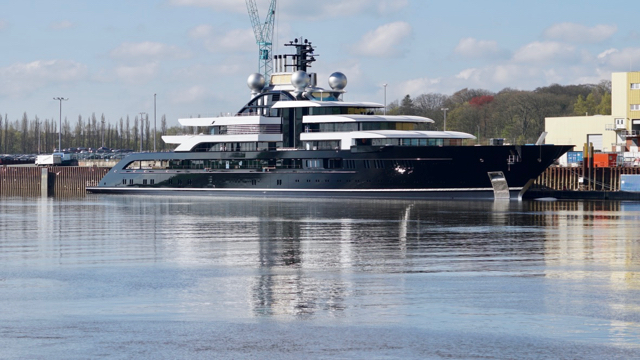 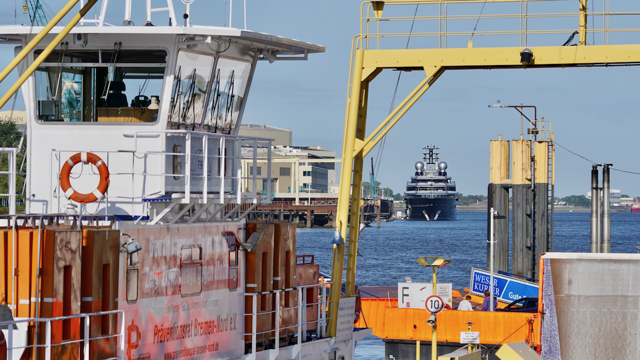 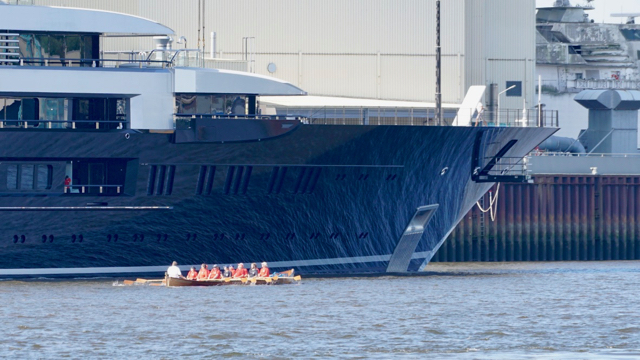 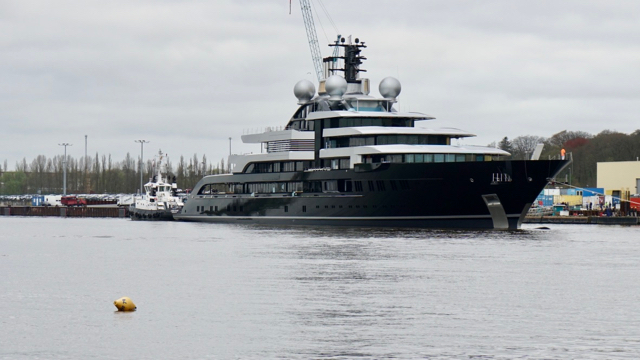 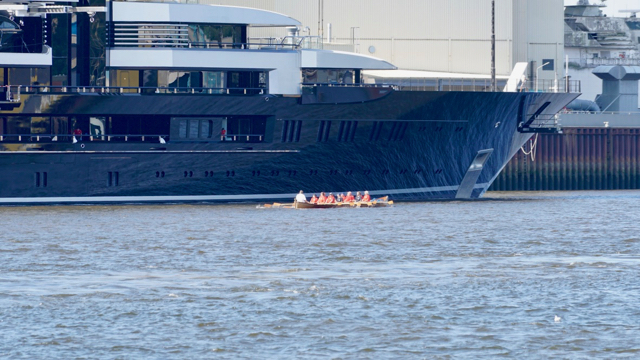 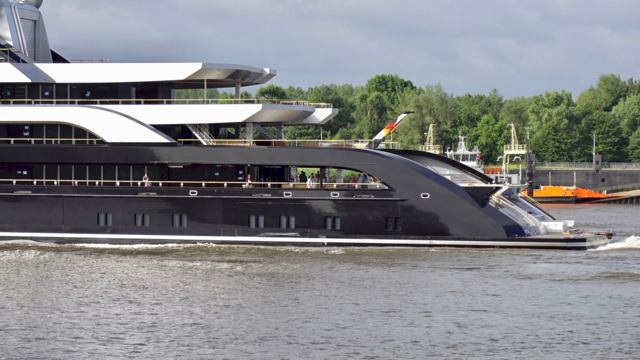 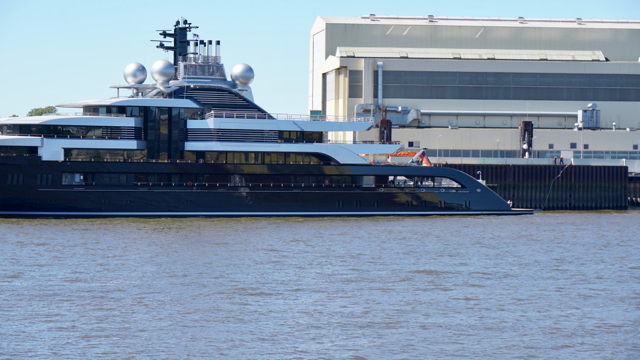 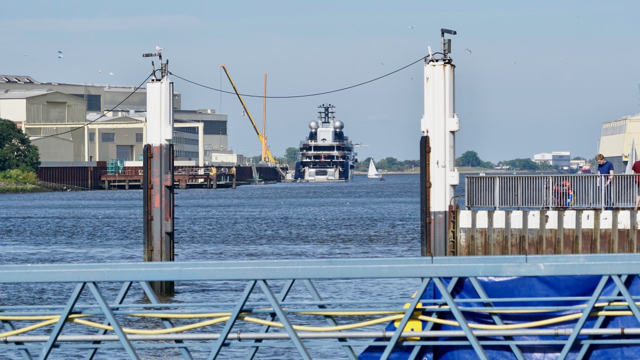 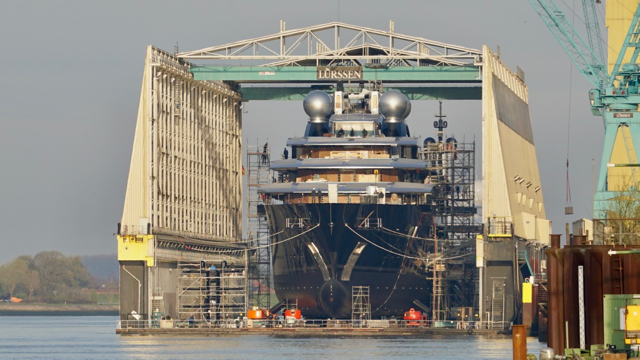 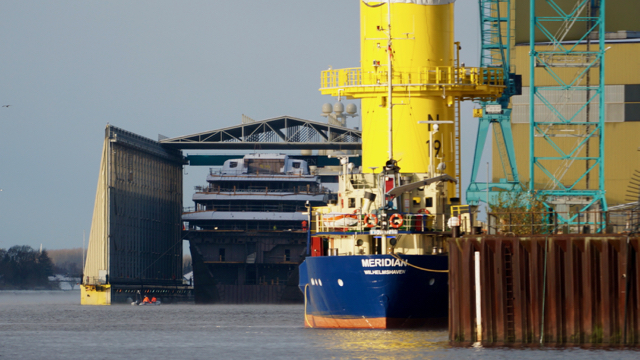 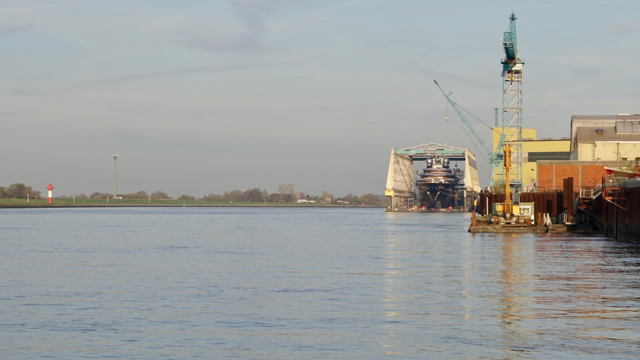 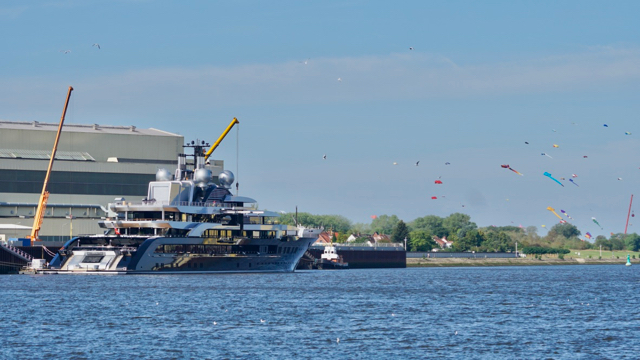 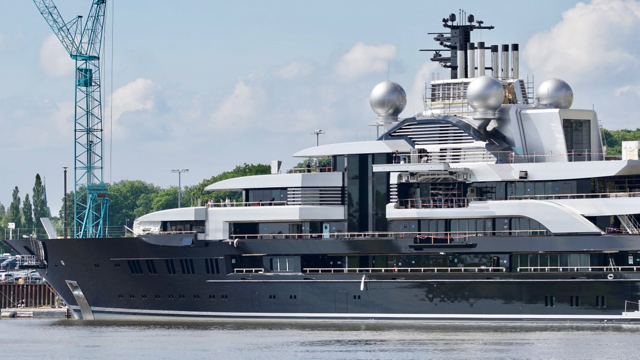 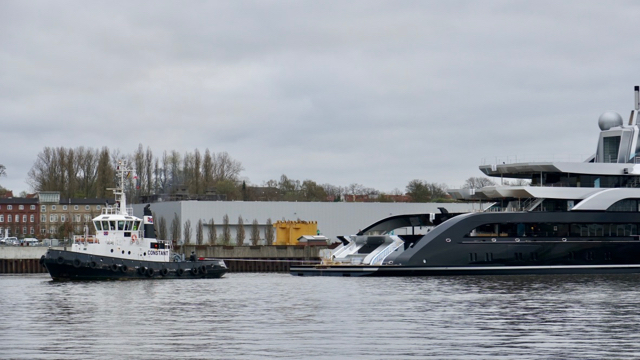 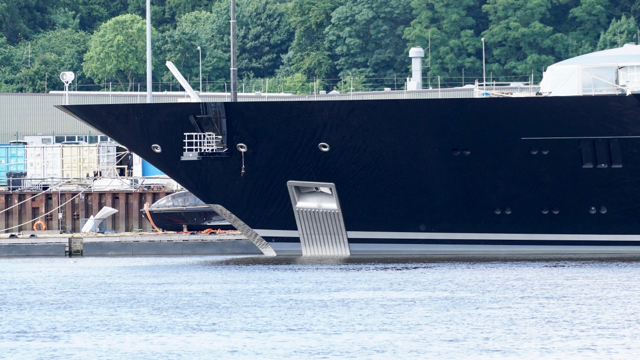 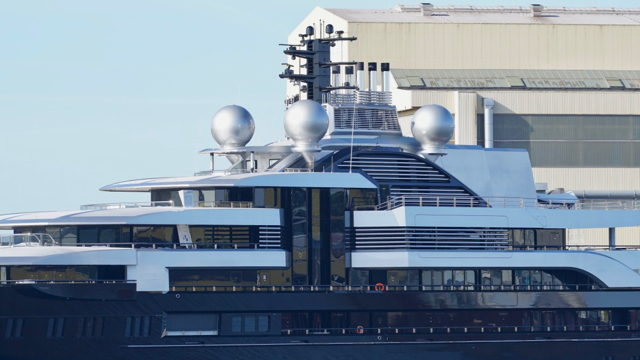 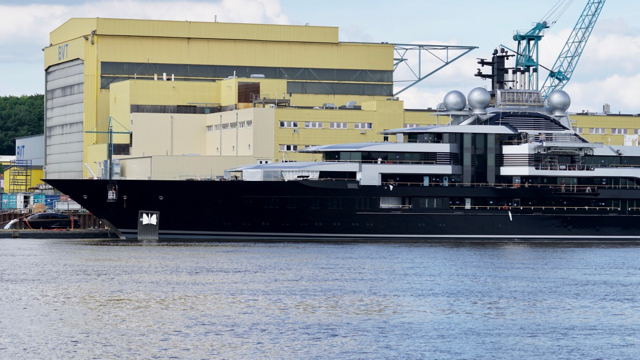 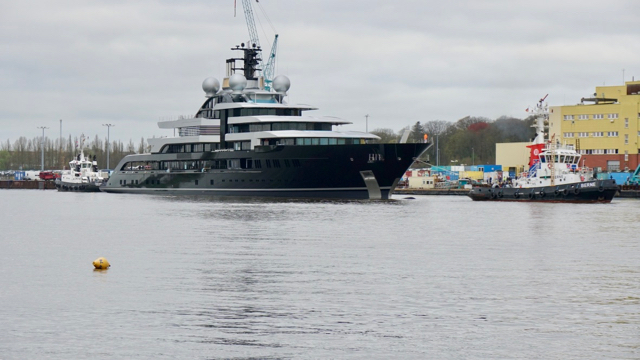 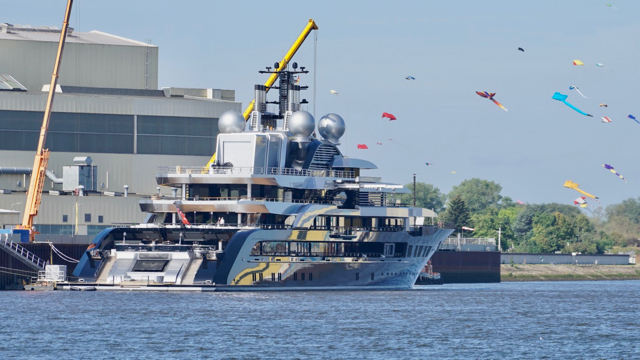 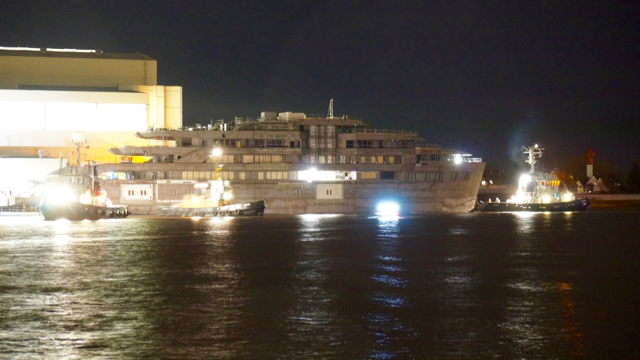 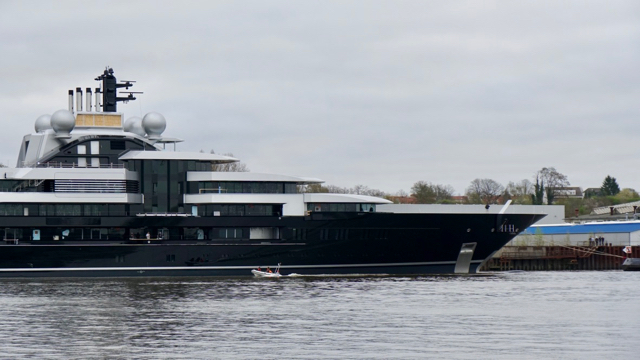 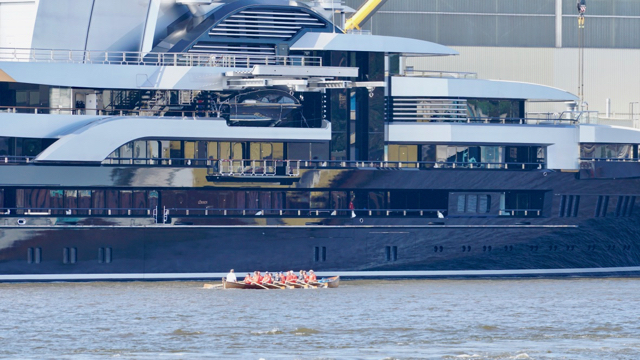 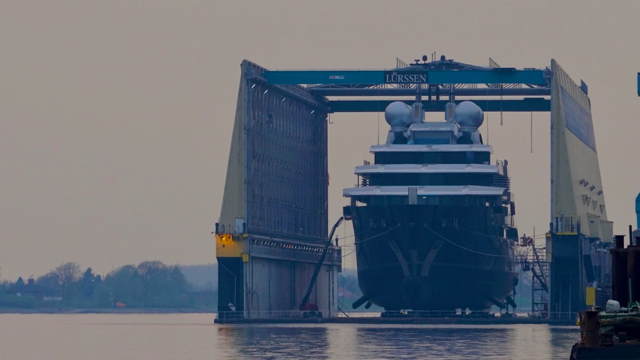 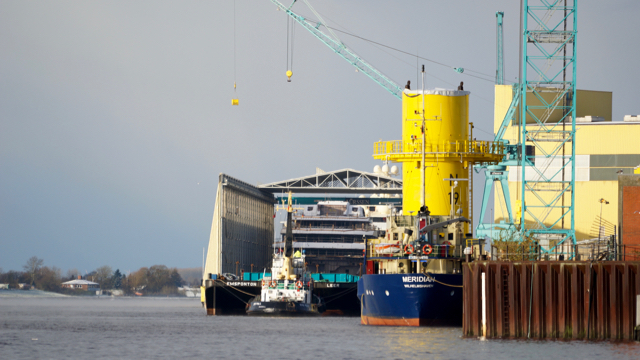 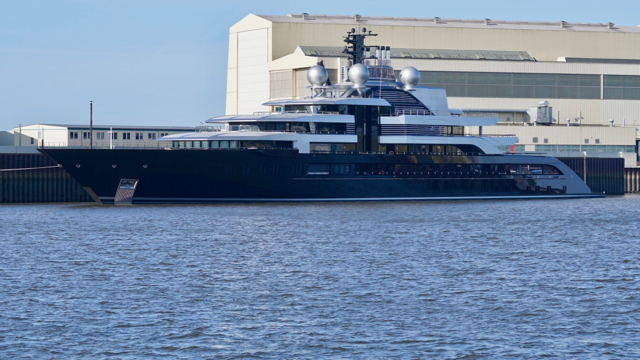 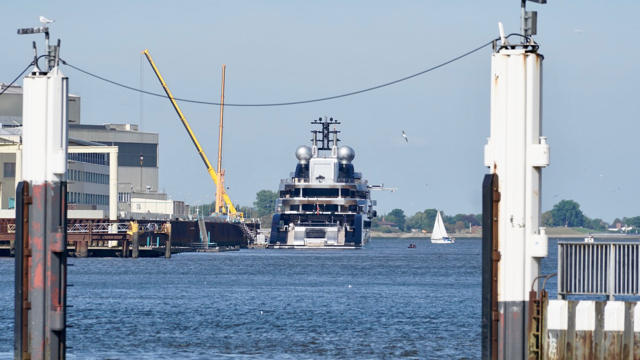 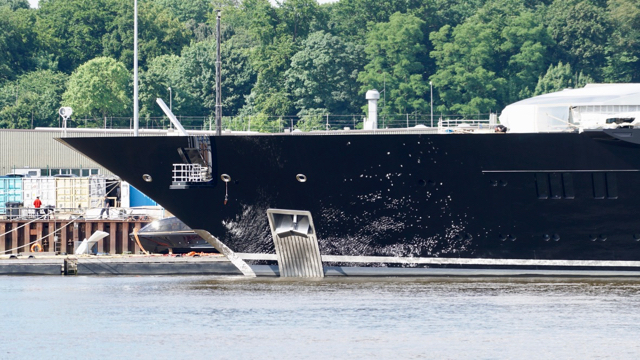 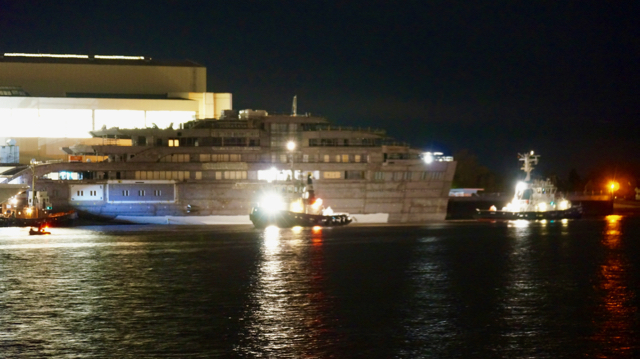 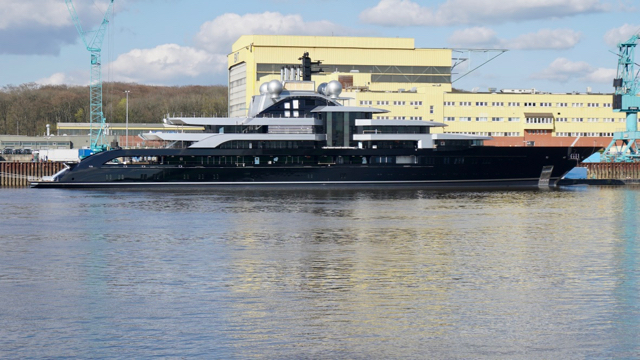 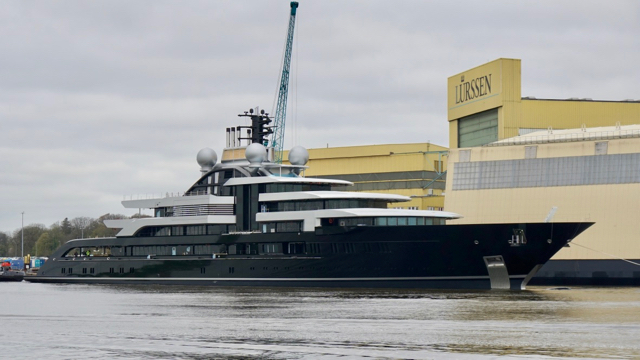 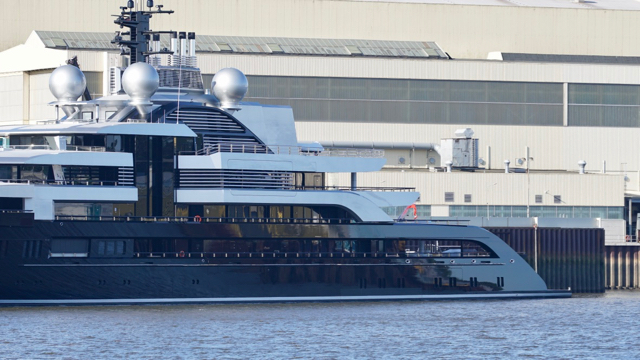 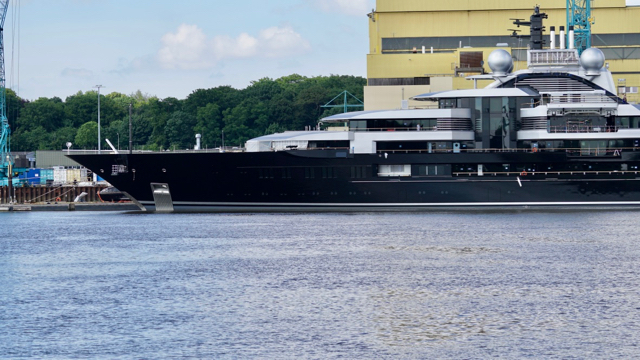 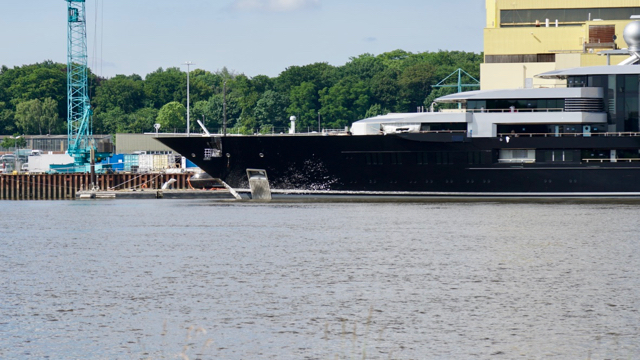 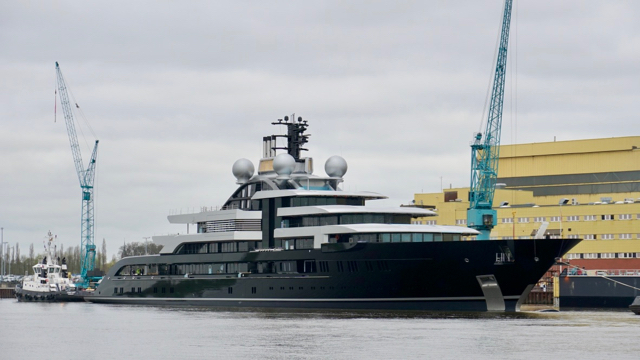 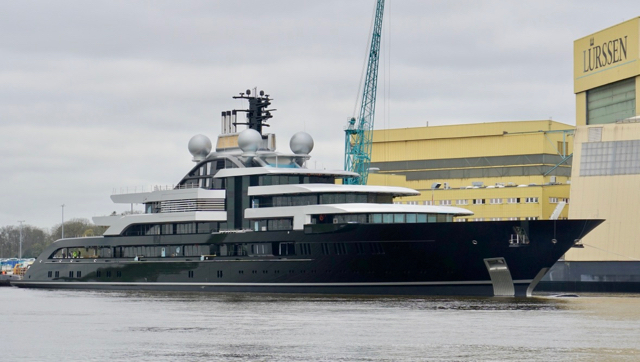 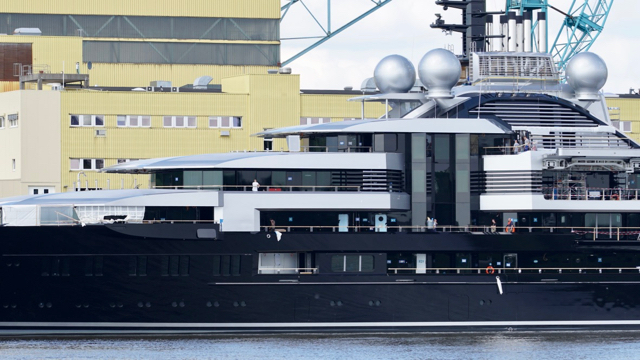 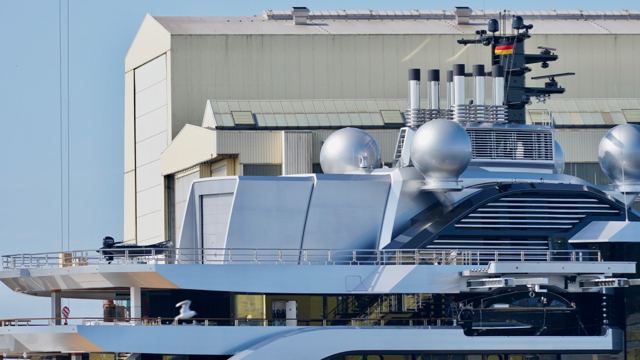 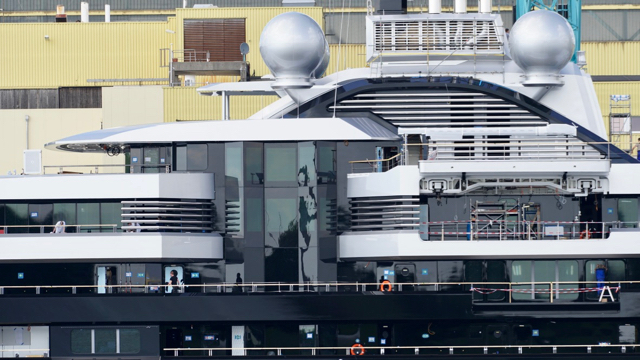 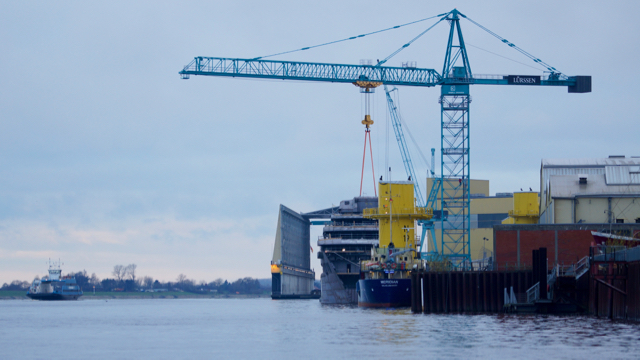 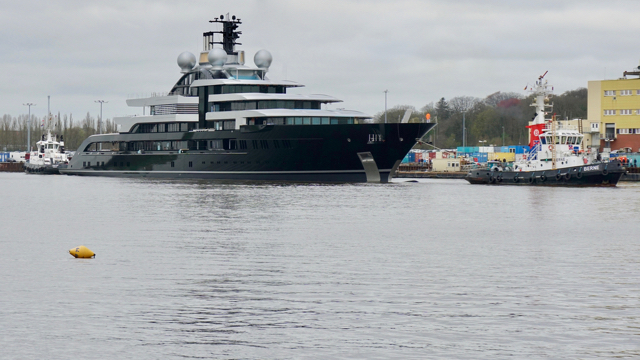 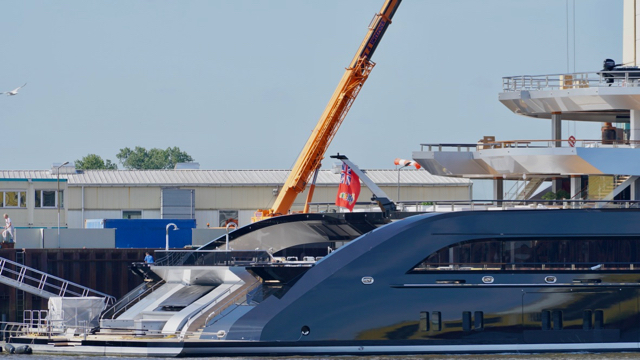 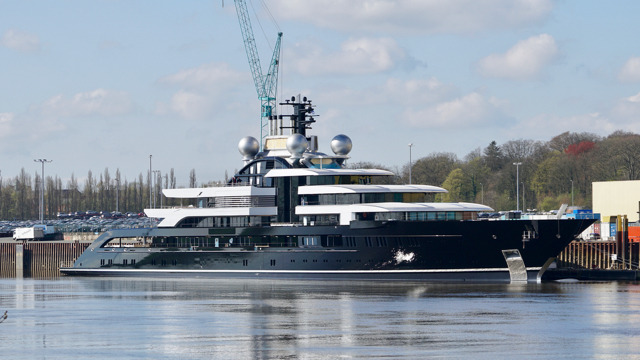 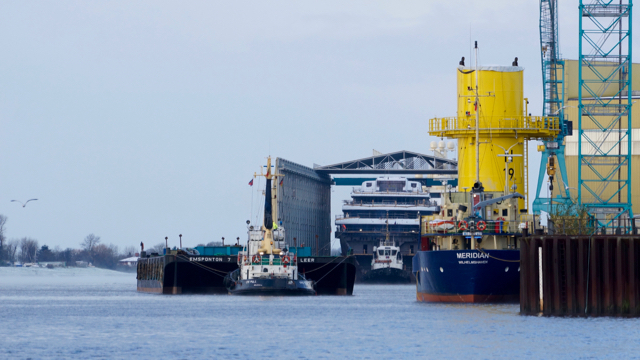 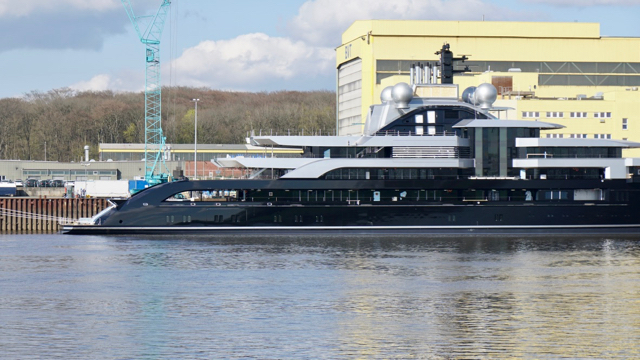 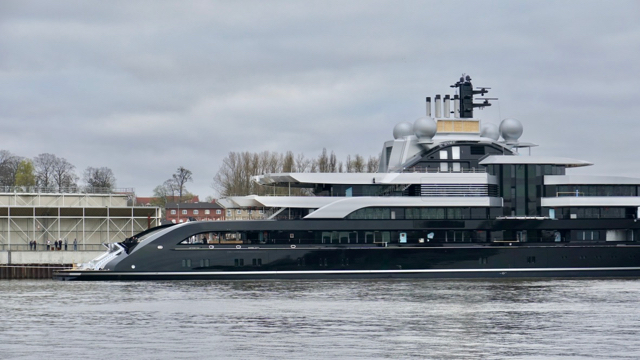 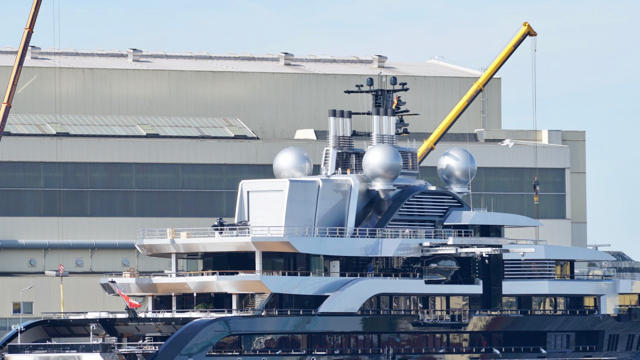 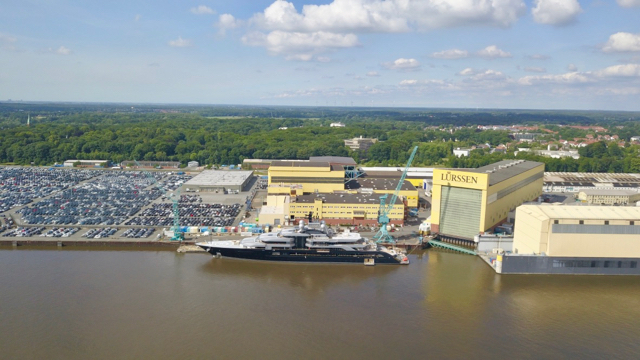 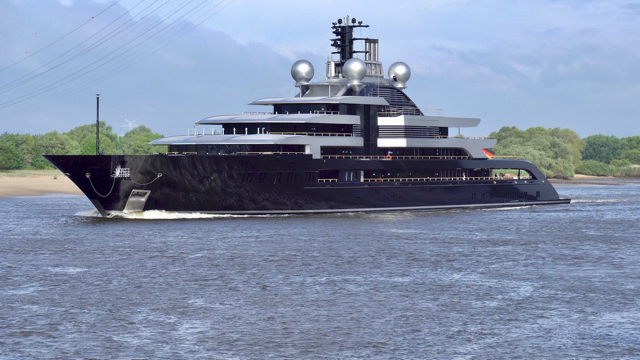 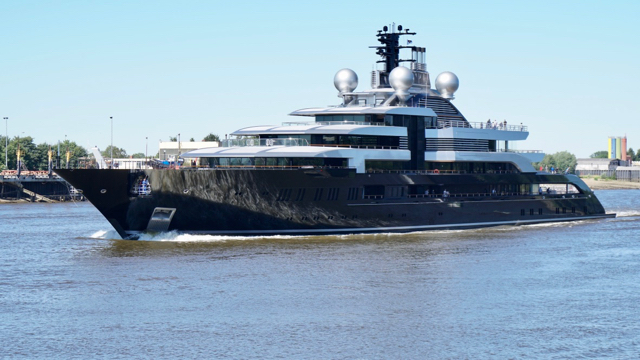 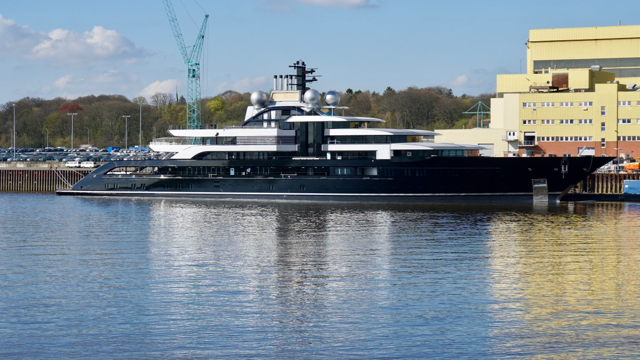 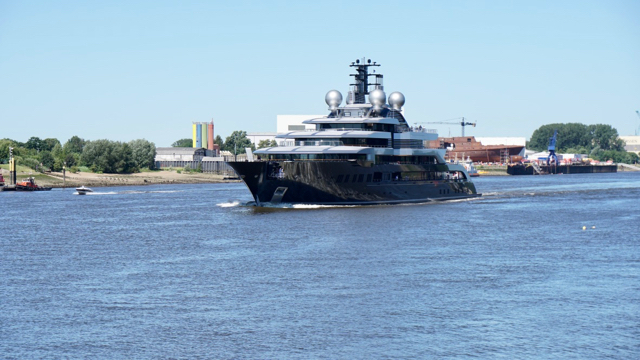 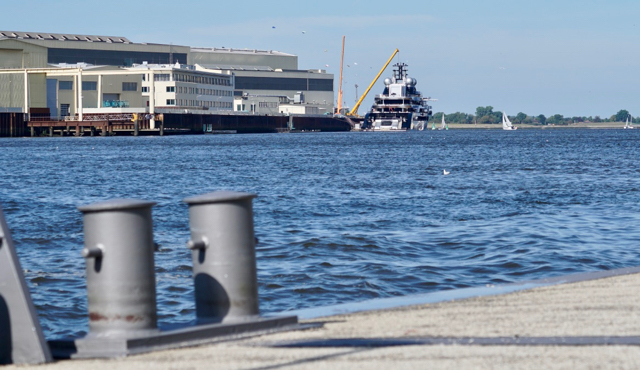 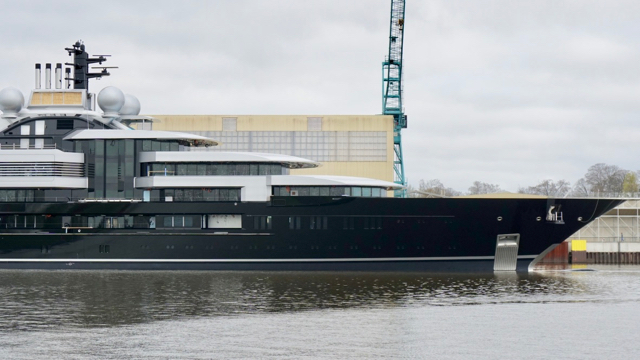 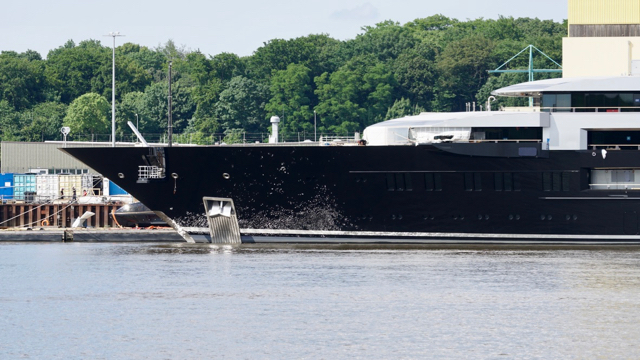 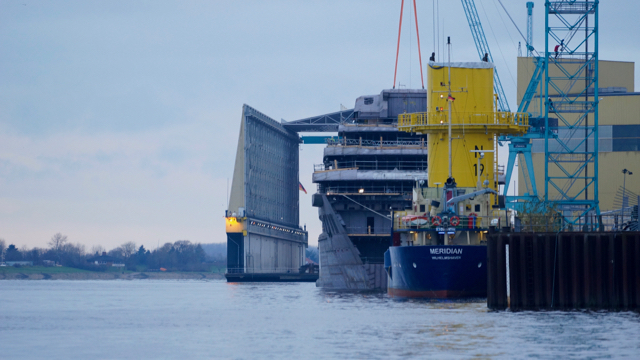 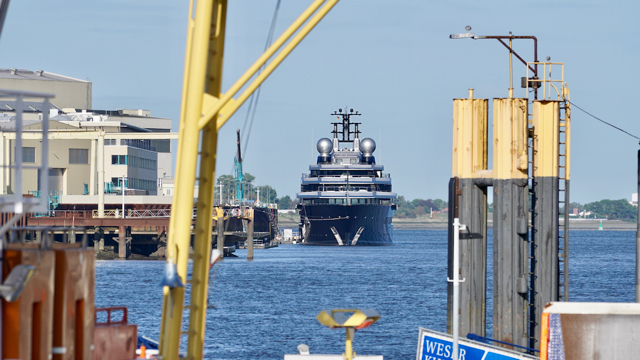 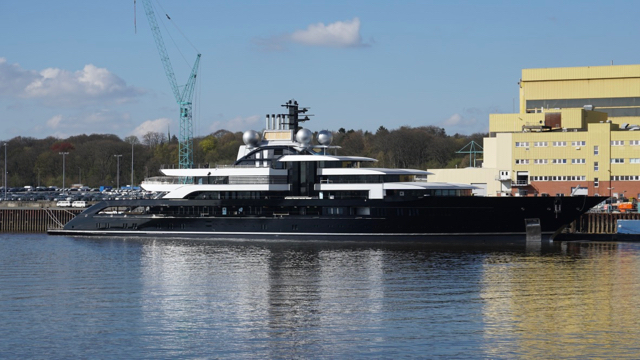 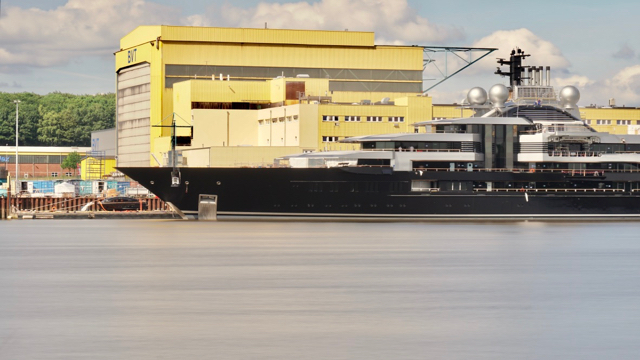 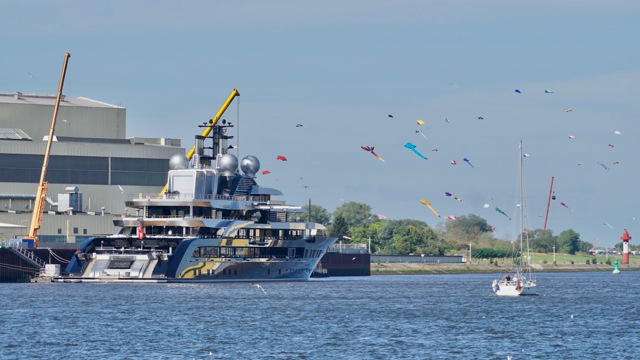 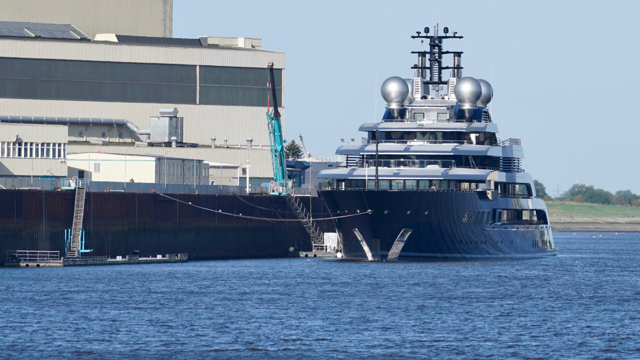 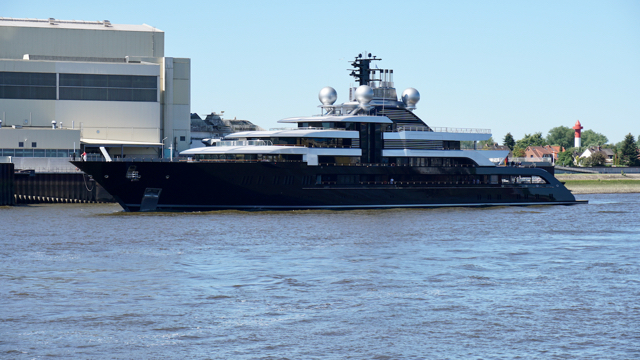 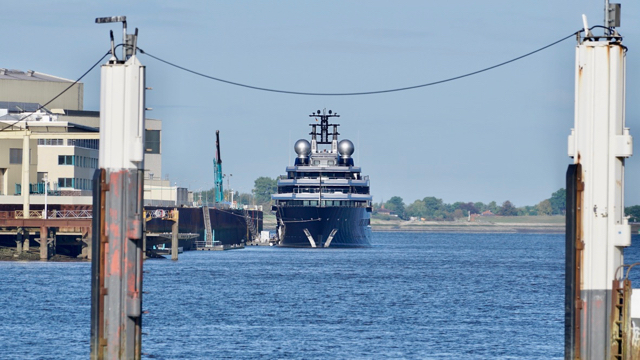 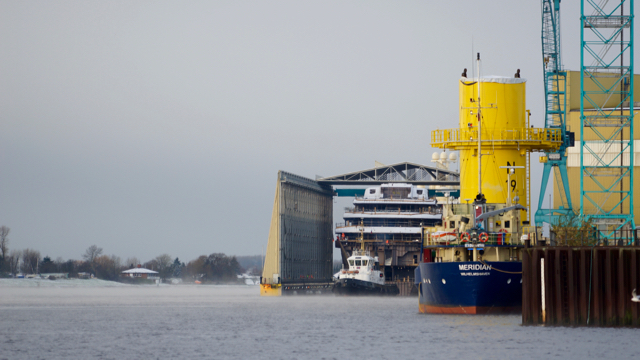 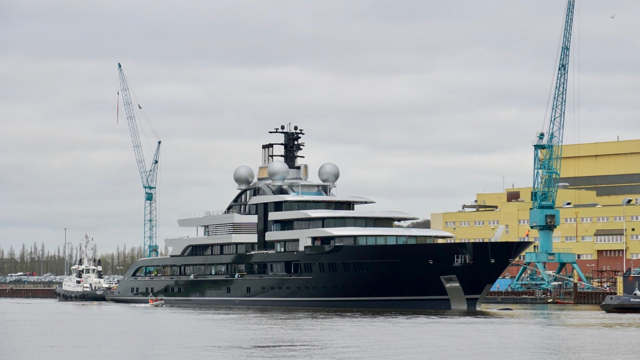 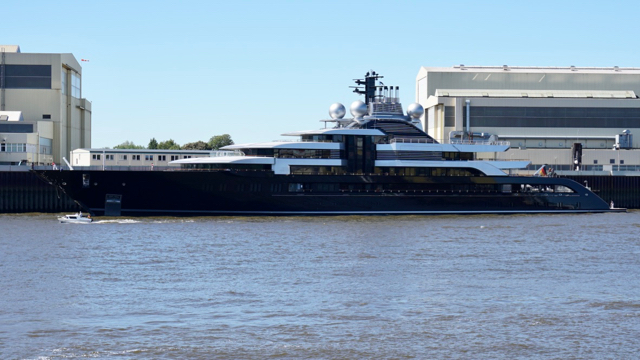 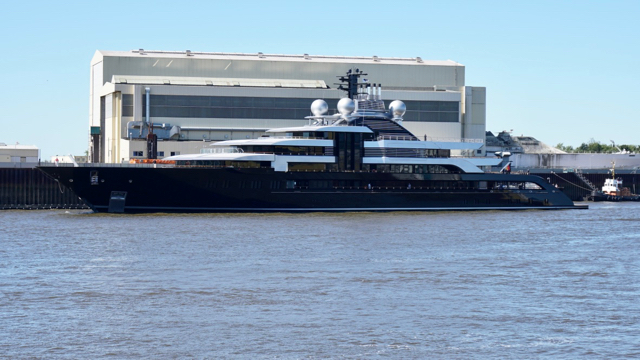 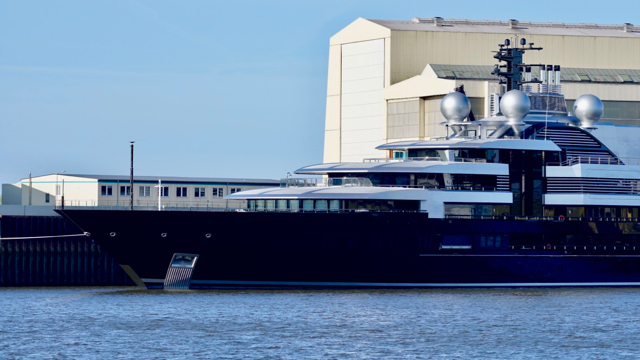 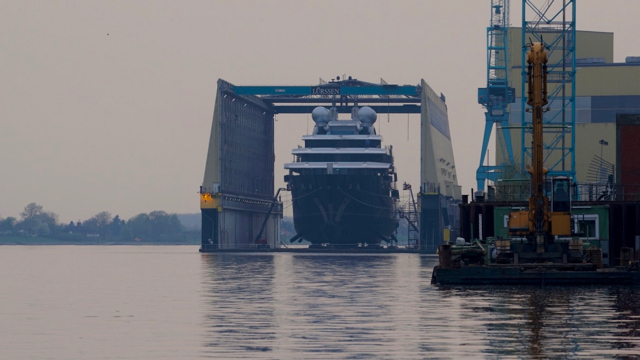 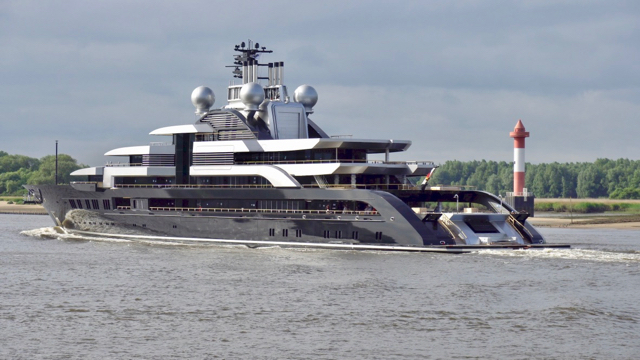 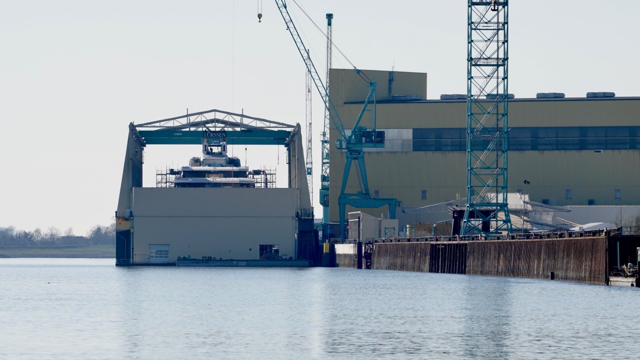 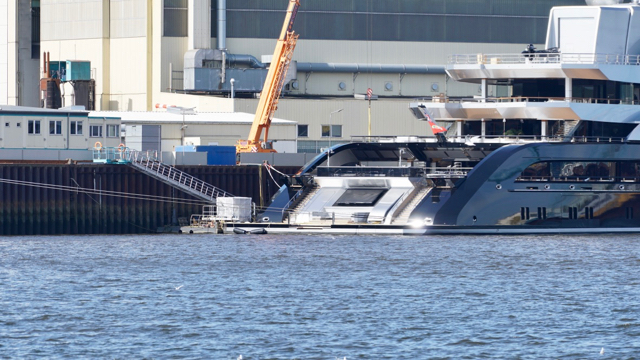 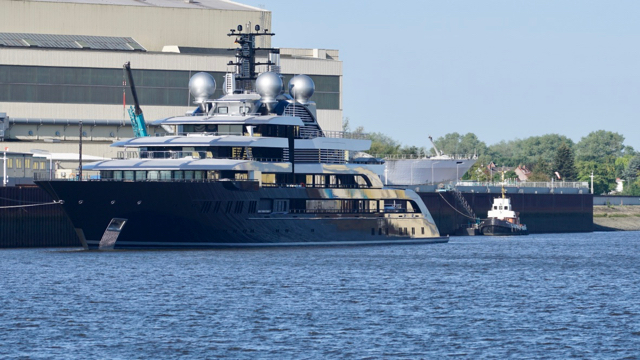 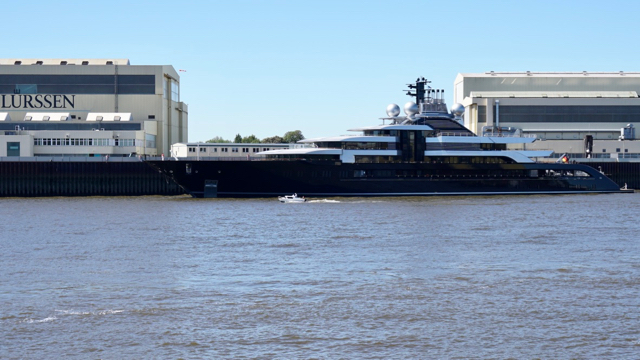 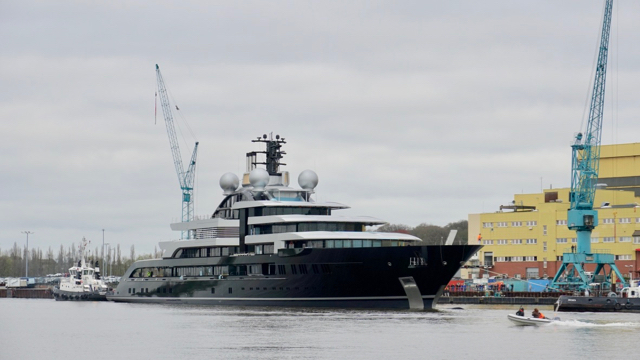 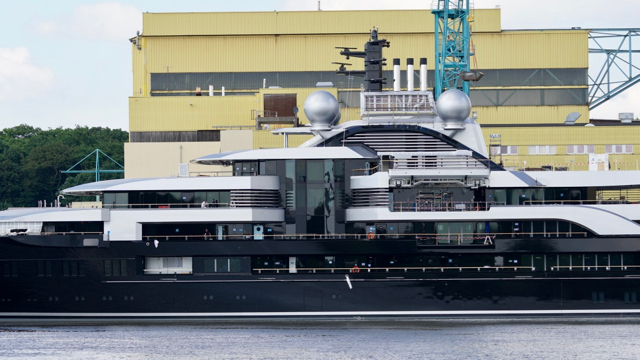 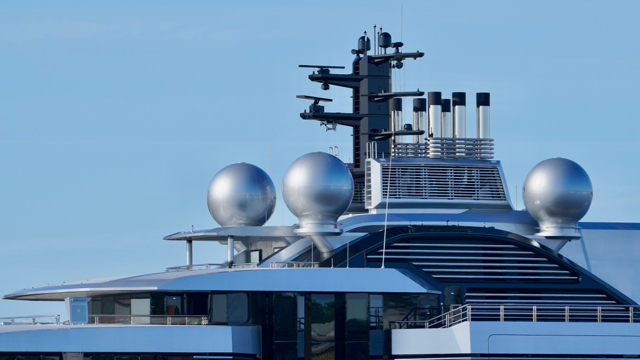 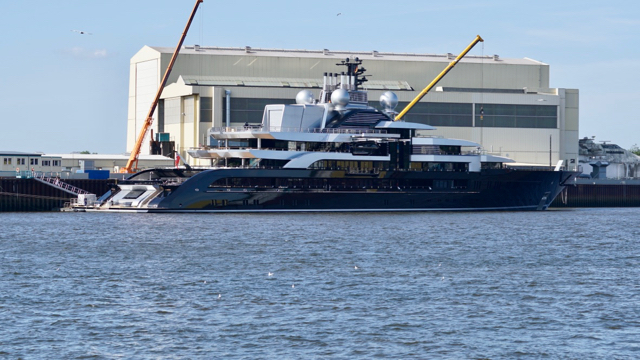 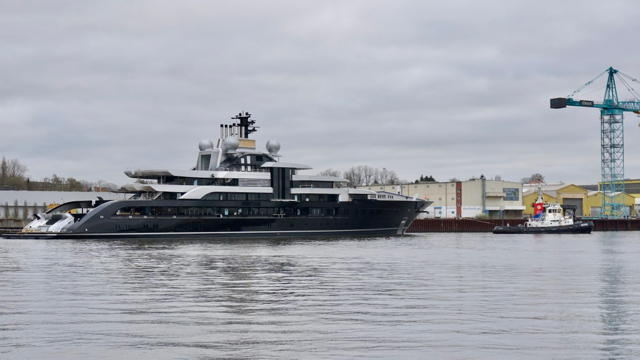 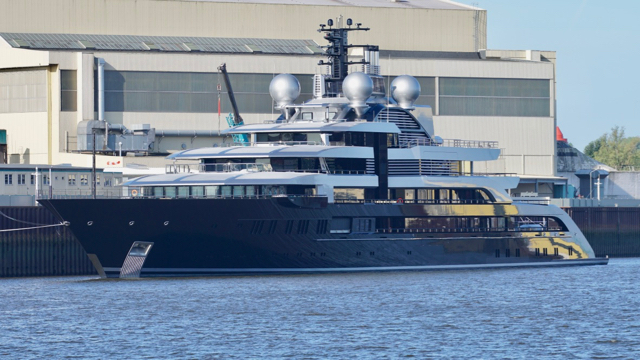 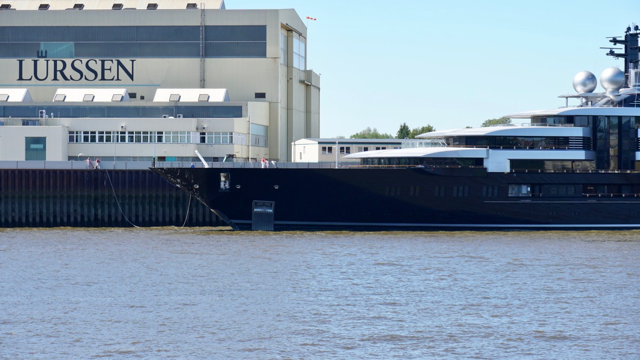 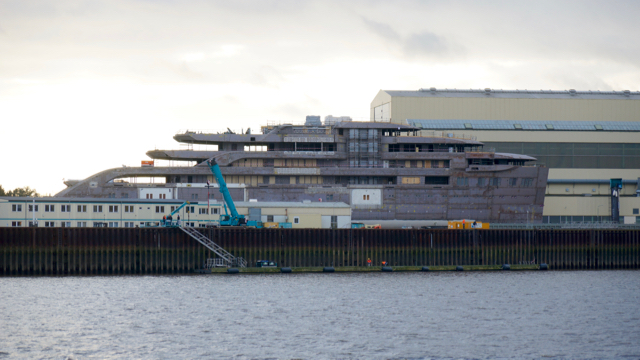 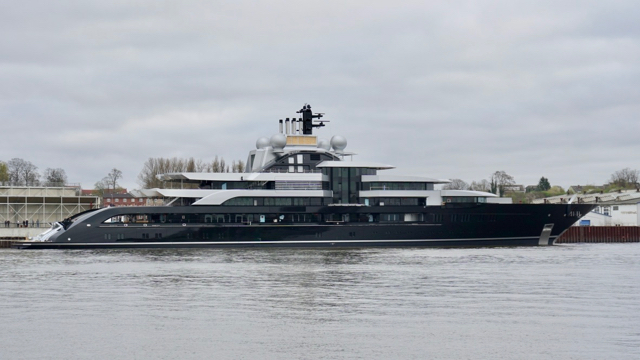 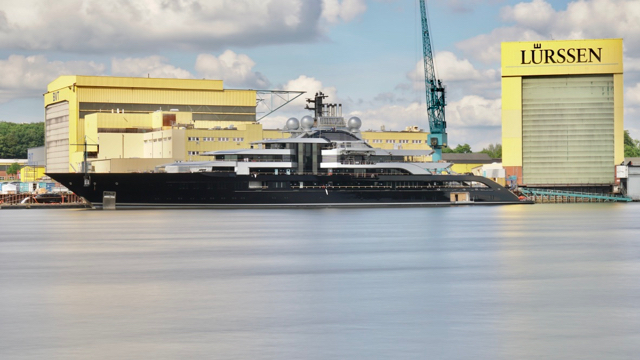 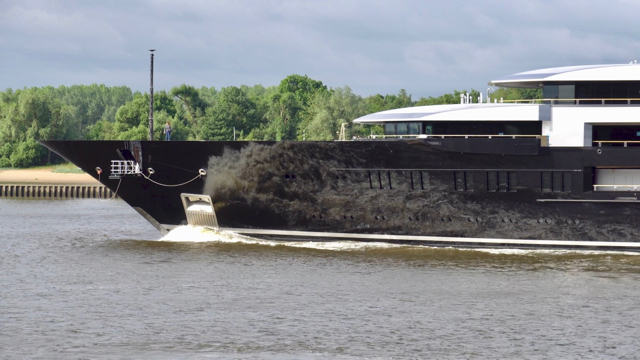 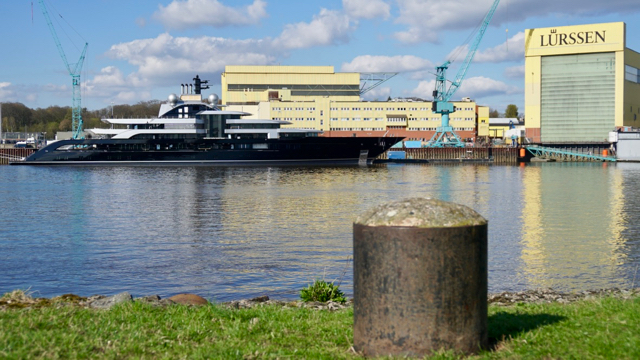 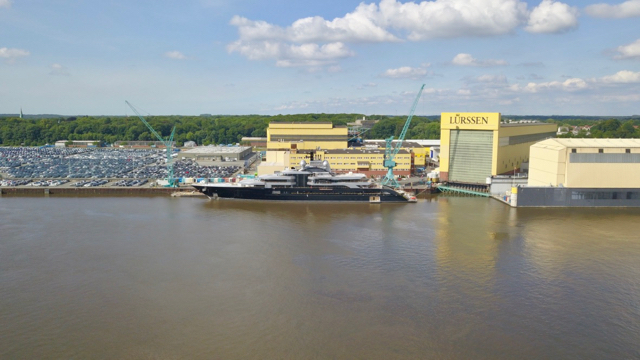 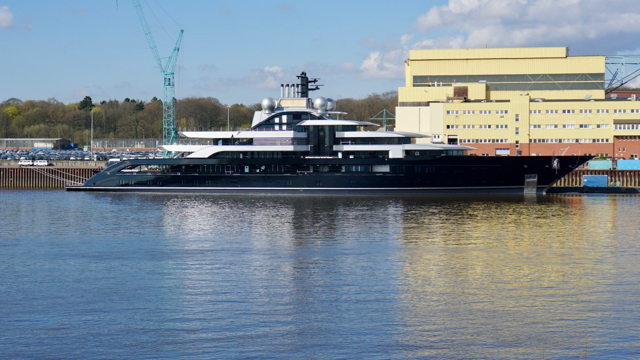 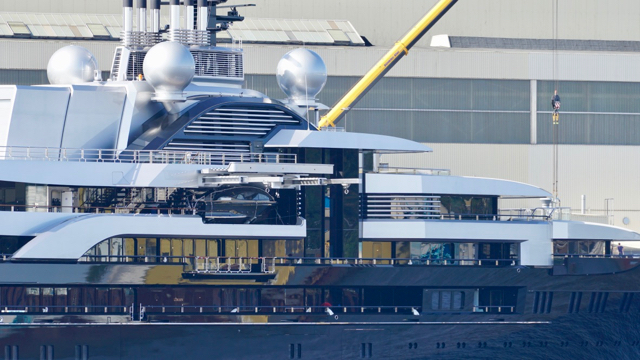 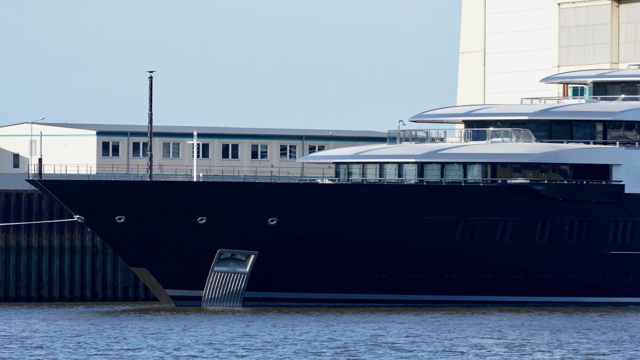 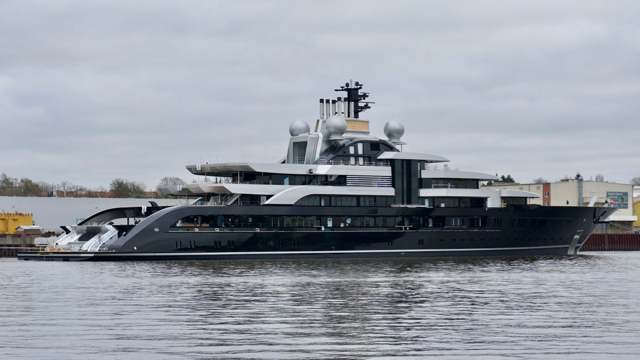 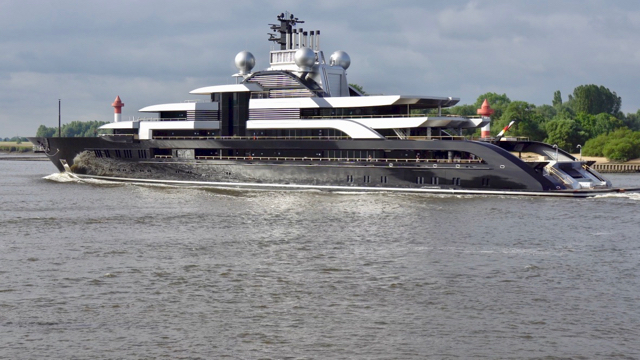 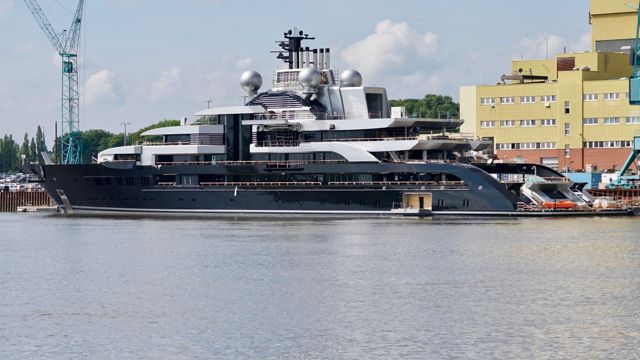 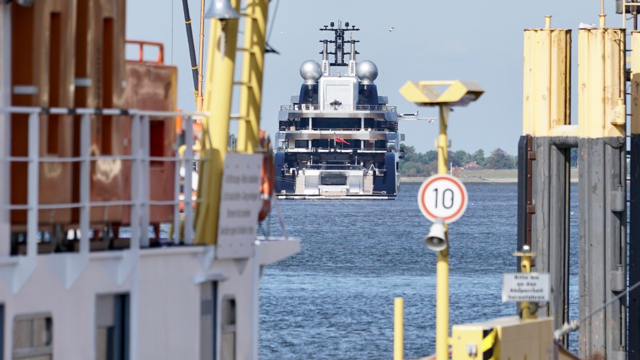 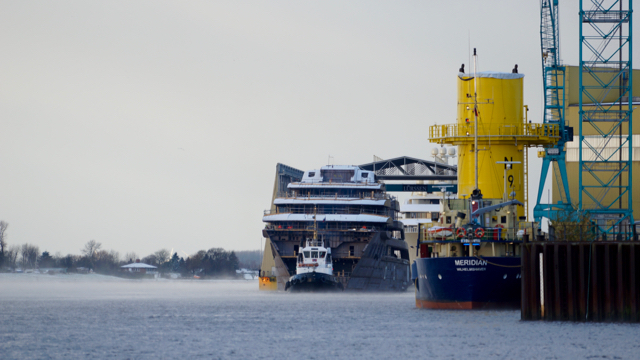 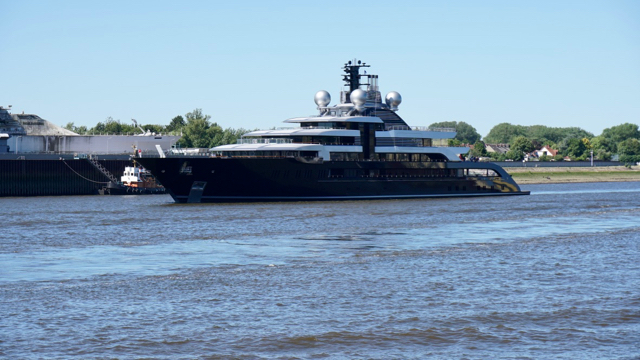 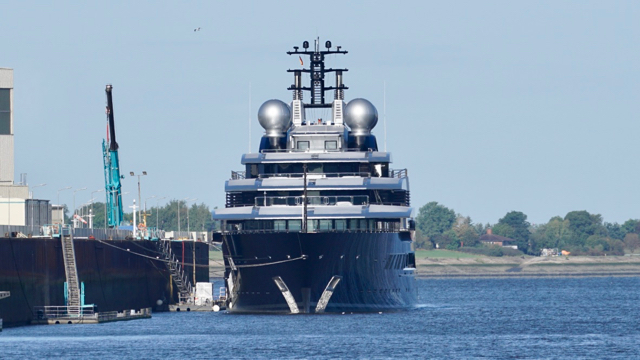 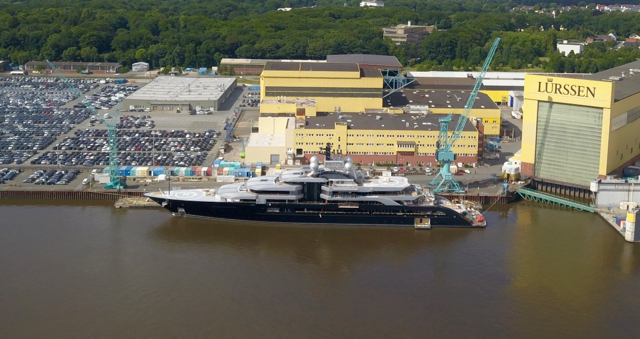 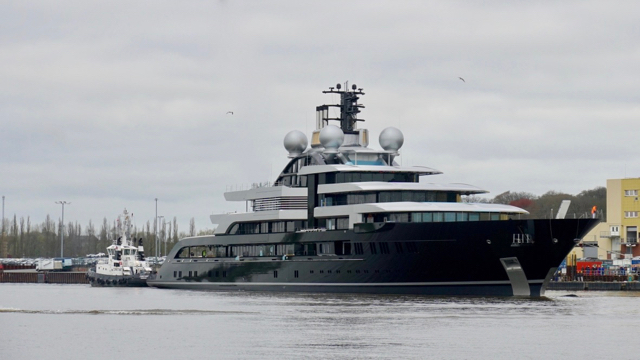 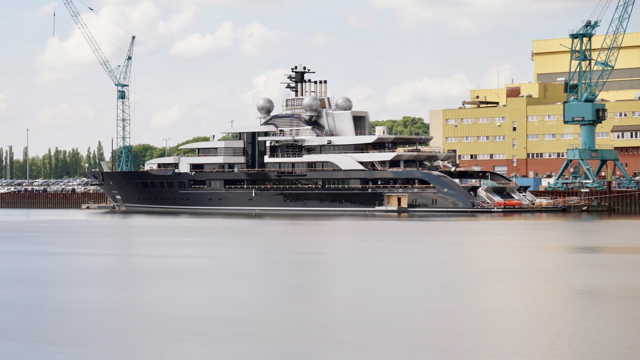 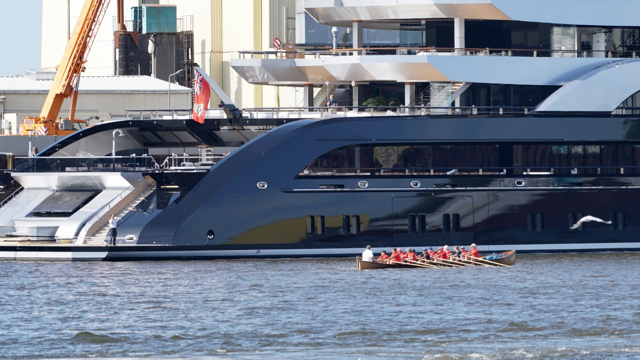 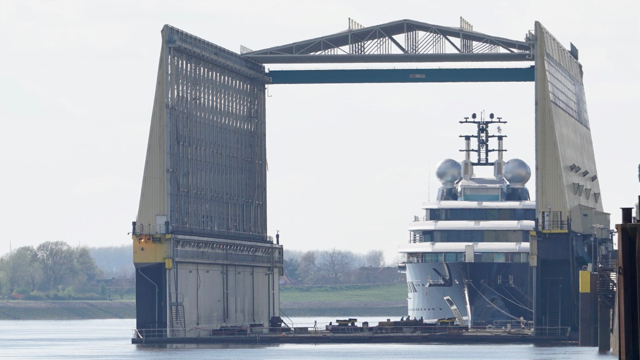 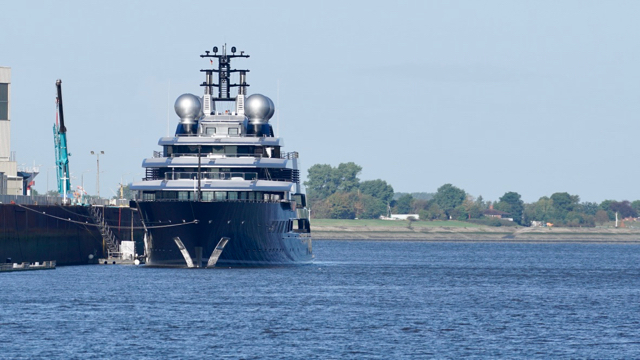 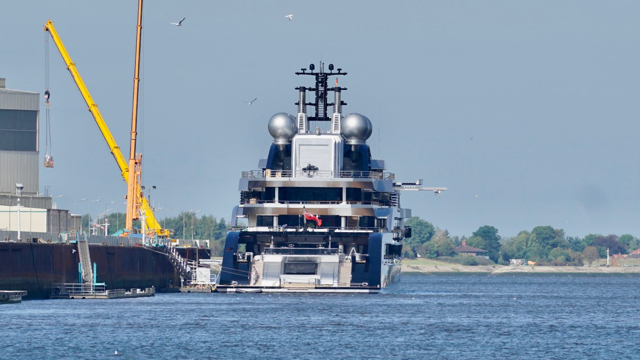 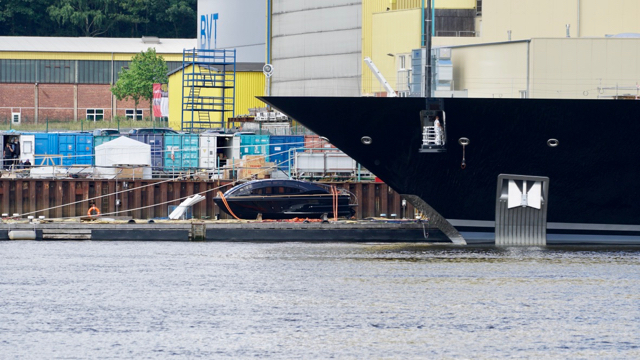 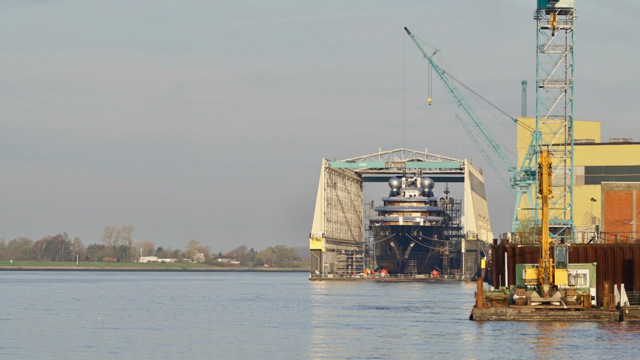 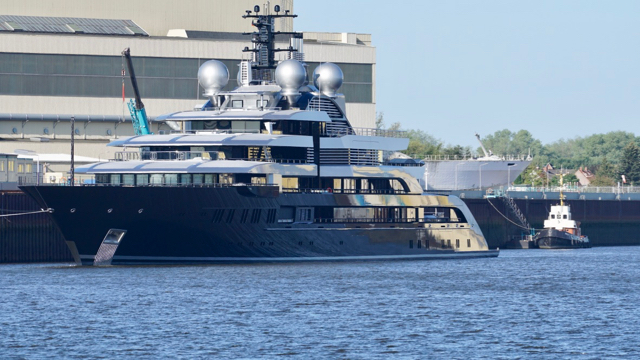 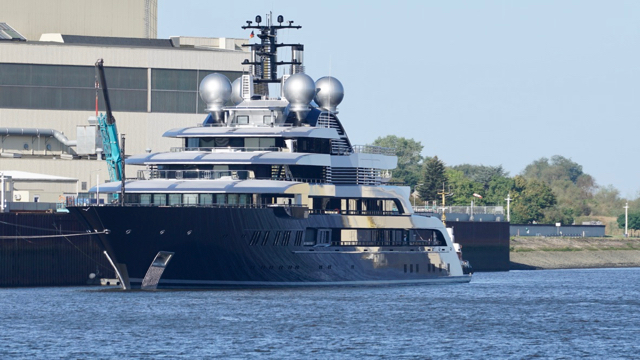 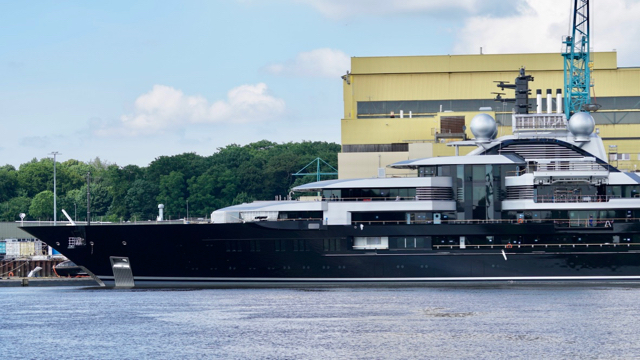 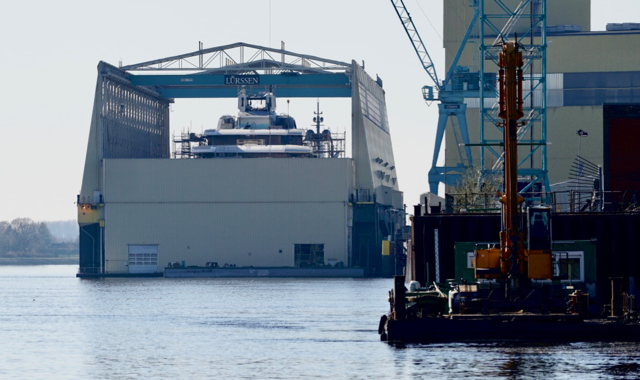 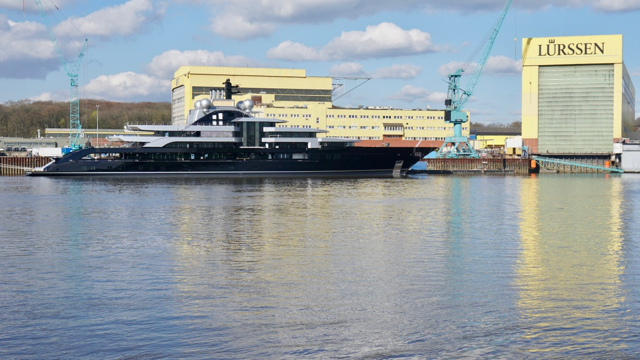 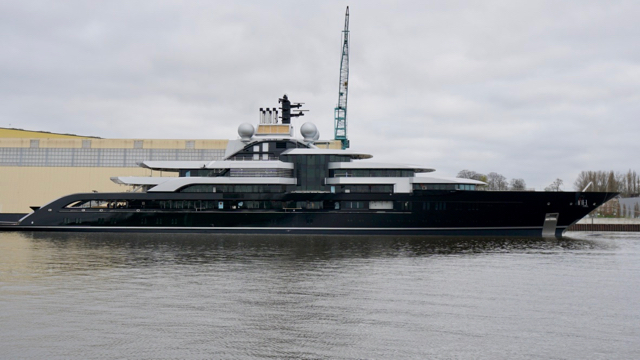 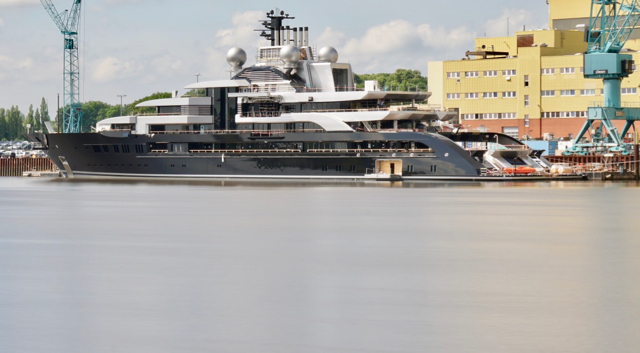 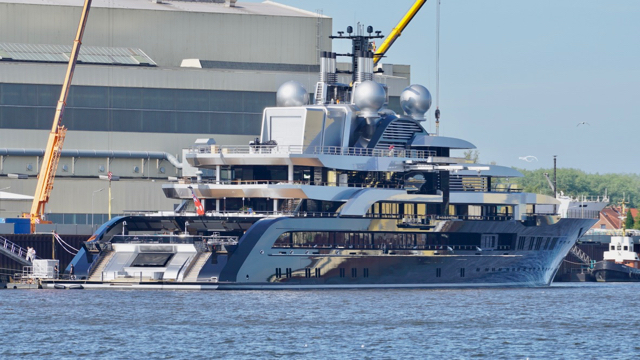 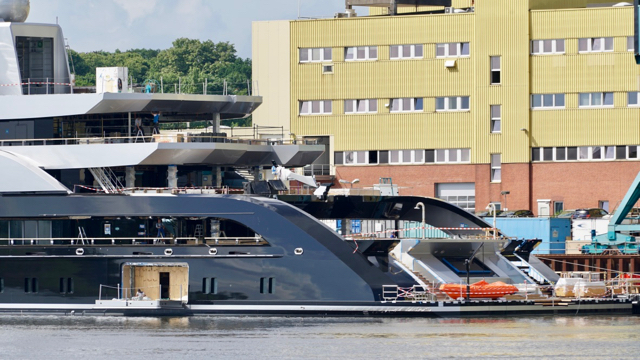 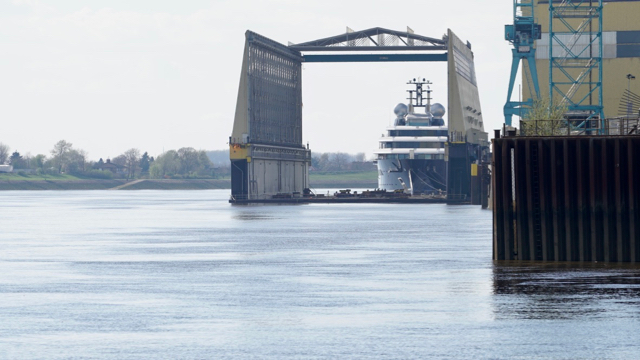 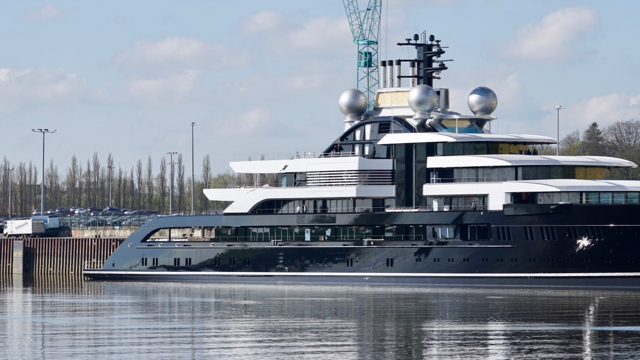 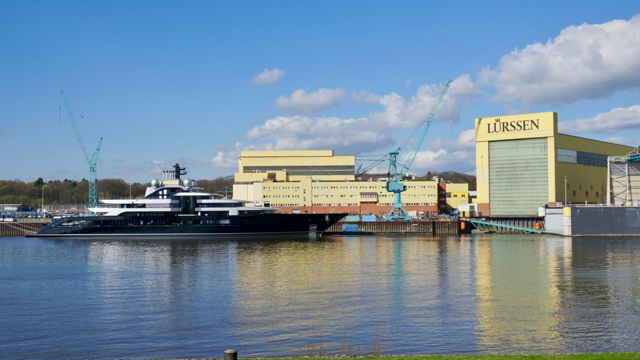 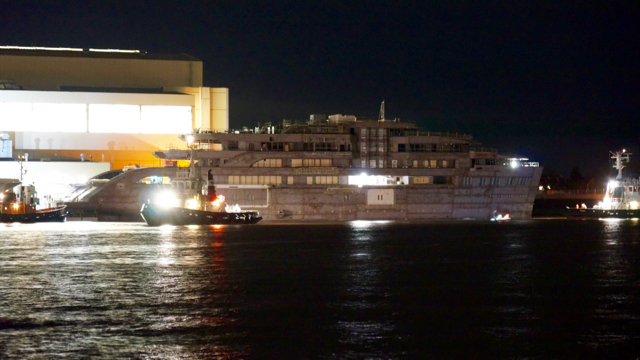 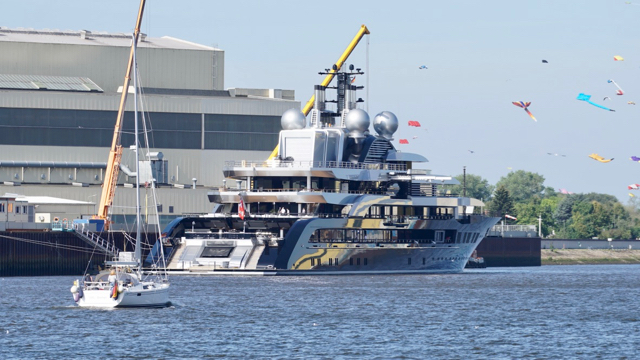 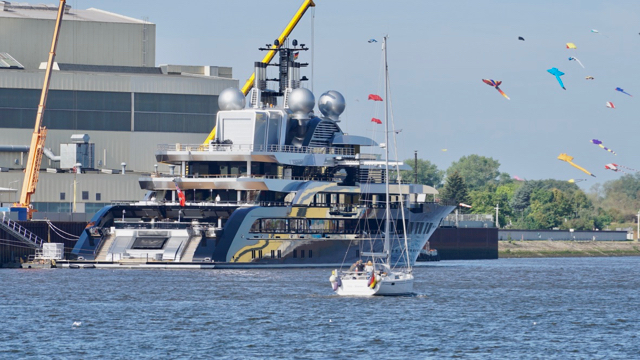 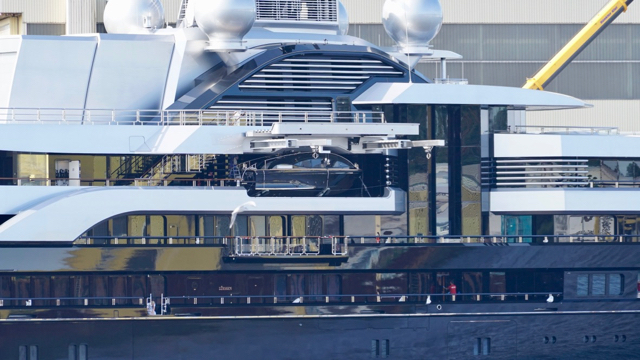 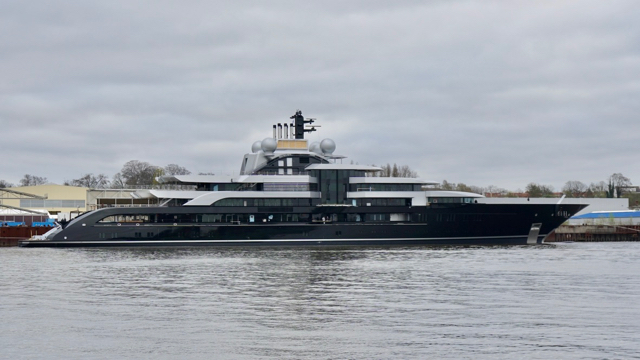 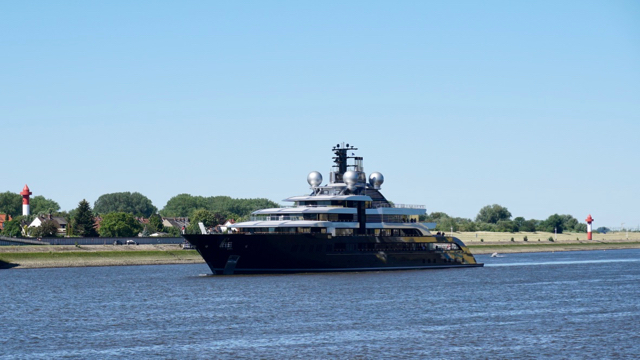 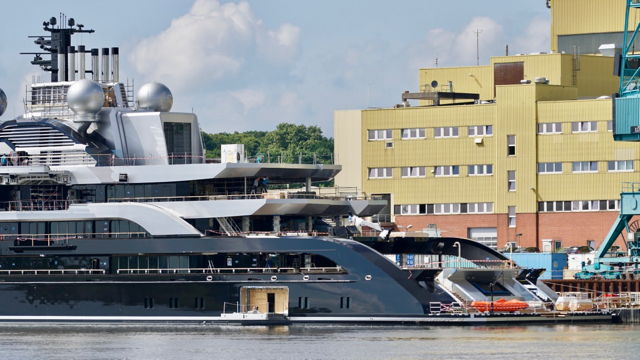 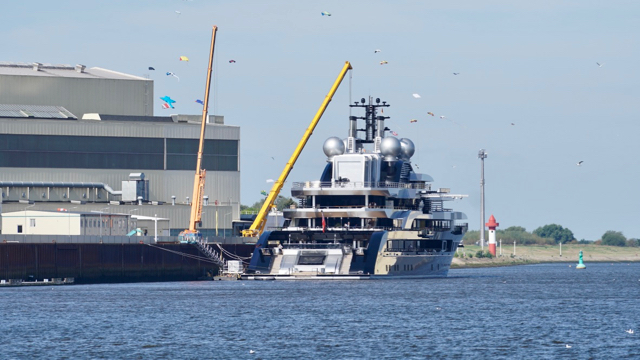 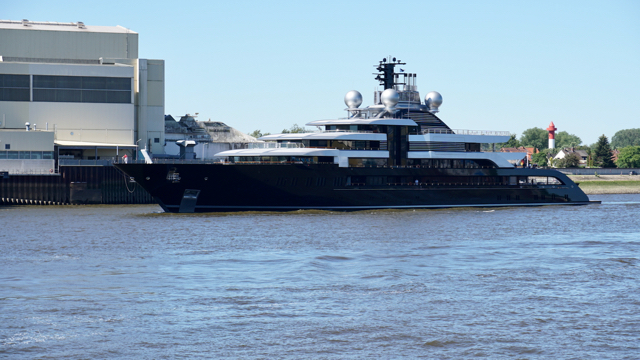 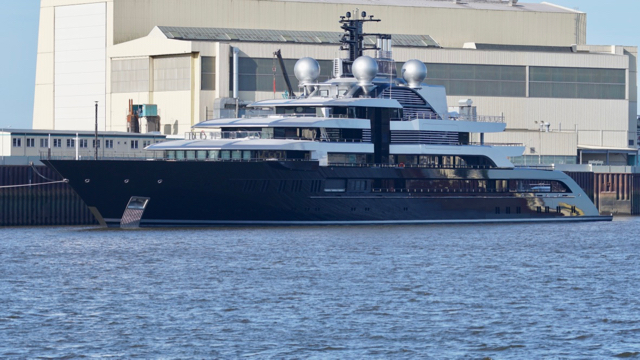 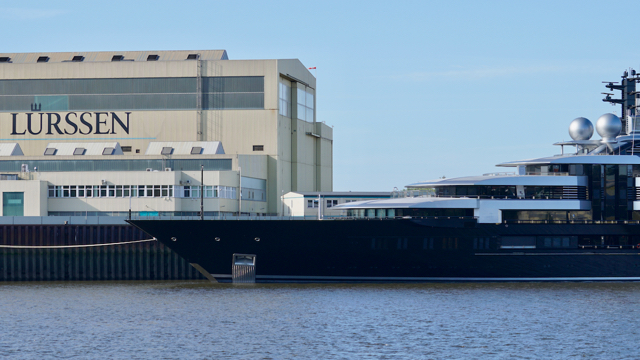 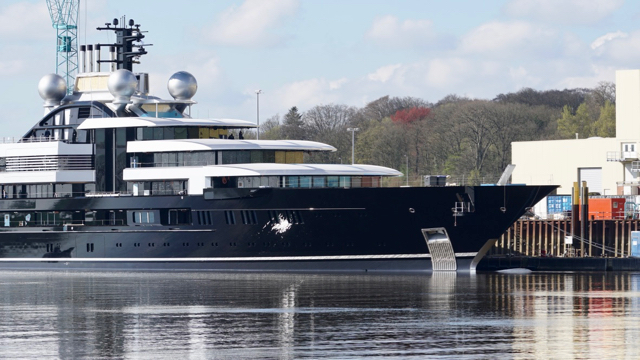 June 2018 THUNDER was moored into dry dock at Blohm&Voss shipyard. 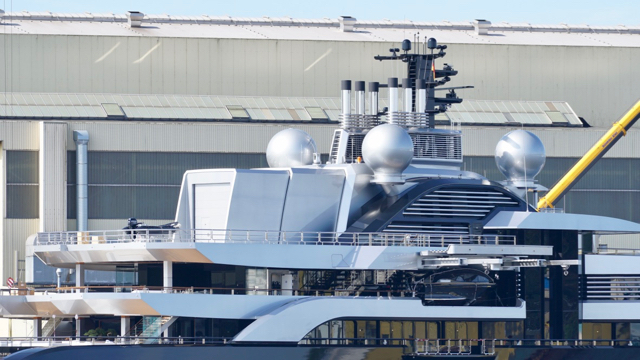 This project is really top secret, nothing else is known.